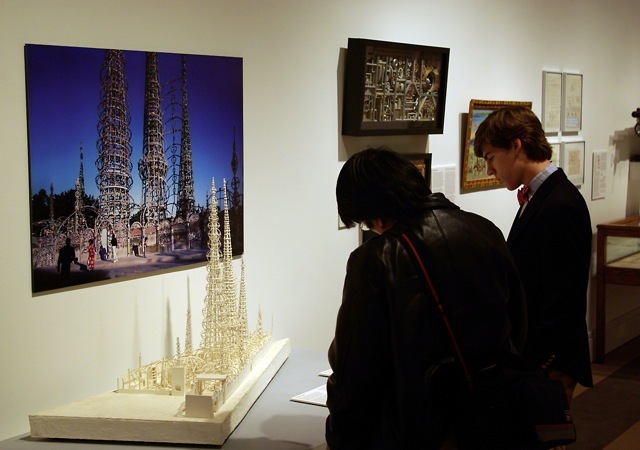 Never-seen-in-public architectural model of the folk art masterpiece,Watts Towers by Simon Rodia. 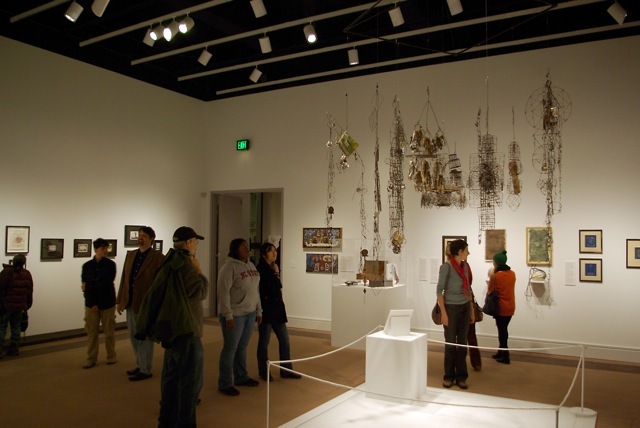 Finally, after 15 years, “Narrow” Larry Harris’ Watts Towers model is on public view. The Gregg Museum’s spring 2013 exhibition Farfetched: Mad Science, Fringe Architecture and Visionary Engineering takes as its basic point of departure British mathematician Alfred North Whitehead’s famous quip that, “Every really new idea looks crazy at first.” The exhibition will feature objects that question (and push) the boundaries of what is considered “normal” in art and technology. 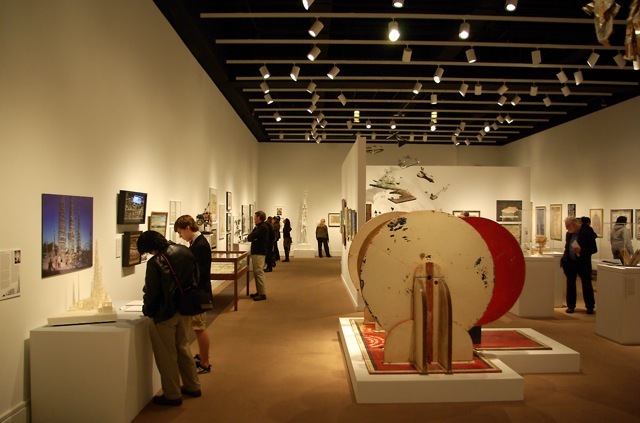 For example, Frank Lloyd Wright was considered a great architect, and Norman Bel Geddes was recognizeda great designer, but neither Wright’s visionary mile high city (The Illinois), nor Geddes’s proposed flying wing (Air Liner Number 4) ever proved feasible (no wonder; the air liner would have had nine decks and incorporated areas for deck-games, an orchestra, a gymnasium, a solarium and a machine shop for in-flight repairs). Meanwhile, an uneducated Italian handyman named Sabato (Simon) Rodia, really did manage to build the famous Watts Towers in Los Angeles—singlehandedly and so sturdily that the towers couldn’t be torn down (city engineers tried). Some of the greatest scientists, architects, and engineers who ever lived—Galileo, Newton, Tesla, Marconi, the Wright brothers—were accused of insanity at one time or another during their careers.